The Brooklyn Symphony Orchestra is proud to announce its 2018–2019 season under the baton of Artistic Director Nicholas Armstrong. The orchestra will perform music by Bizet, Shostakovich, Beethoven, Holst, and many more. 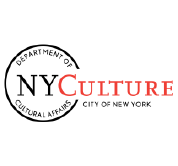 The five principal concerts are offered at the Brooklyn Museum, and additional concerts by smaller ensembles are planned throughout the borough. The Brooklyn Symphony Orchestra, founded in 1973 as the Brooklyn Heights Orchestra, this fall enters its 45th exciting season. The orchestra is a mix of talented amateur, semiprofessional, and professional musicians, from all walks of life, who play for the sheer joy of the experience.